Begin feeding when Tilapia reach 4 inches in size. 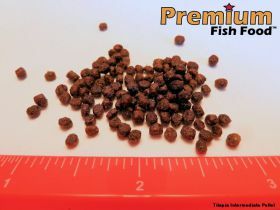 Floating pellet allows you to monitor how much your fish are eating, helping you to avoid over or under feeding at this growth stage. At 4 inches and beyond, tilapia feed aggressively at the surface, making it relatively easy to monitor their food intake.